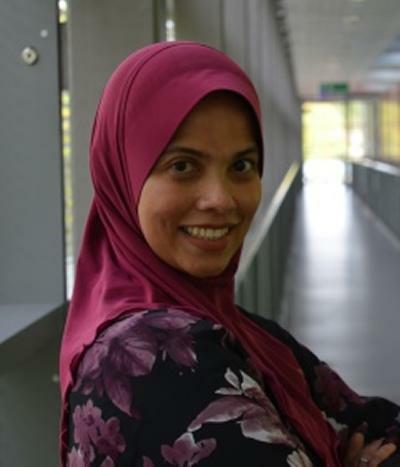 Dr Fatimah Zainudin is Lecturer in Financial Accounting within Southampton Business School at the University of Southampton. I started at Southampton in October 2008. I received a Bachelor's degree in Accounting from the MARA University of Technology after which I embarked on teaching in one of the most prestigious private university in Malaysia. I was responsible for conducting seminars and lecturing for financial management, management accounting, and accounting for specialized industries. I received a University of Bath bursary in 2004 to continue my Master's in Research and PhD in Accounting. During that time I was given the opportunity to be a research teaching assistant within the School. I have taught both undergraduates and postgraduates in Accounting and Finance for almost 14 years. In the latter case I learned some lessons, which will enable me to perform better in years to come. 1 - Corporate Social and Environmental Reporting (CSER): what motivates corporate managers in their reporting decisions; what is actually reported compared to what should be reported (GRI and other framework); how useful the information is to users. 2. Comparative Financial Reporting: international comparative analysis of financial reporting with a primary focus on CSER; reporting by companies in developed and developing economies. I am currently working on a research project titled "Determinants of the quality of corporate social and environmental reporting: A comparative international study". This investigates the motivation of reporting decisions through an analysis of how reporting varies with firm characteristics that may have a bearing on managers' decisions (e.g. business sector, firm size, legal/regulatory environment, reporting culture). This focuses on different business sectors, especially utilities companies, as these are generally already subject to some form of regulation. Holland, K., Lindop, S., & Zainudin, F. (Accepted/In press). Tax avoidance: a threat to corporate legitimacy? An examination of companies' financial and CSR reports. British Tax Review, 1-26.
Cooper, P., & Zainudin, F. (2009). Determinants of international variation in the quality of corporate responsibility reporting. Paper presented at British Accounting Association Conference, . Cooper, P., & Zainudin, F. (2008). Determinants of the quality of corporate social and environmental reporting: a comparative international study. Paper presented at Twelfth Annual Financial Reporting and Business Communication Conference, .